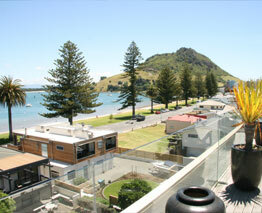 The Anchorage, Mount Maunganui, specialises in long term stays for corporate guests, locums and visitors to the Bay of Plenty. Our One Bedroom and Two Bedroom Apartments offer a great alternative to the traditional motel room. Our secure, modern Mount Maunganui property is the ideal ‘home away from home’, offering stylish surroundings, self-contained facilities and an ideal central location. Although our luxury apartments are usually self-service, our valued long term guests receive service to their apartments weekly, along with their own secure car parking. Additional servicing is available upon request. All One Bedroom and Two Bedroom Apartments include full cooking facilities, with microwaves, full size refrigerators and ovens, in top of the line brands. 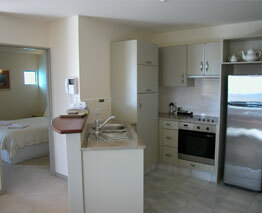 All apartments also offer washing machines and dryers. To discuss your longer term stay in sunny Mount Maunganui, please contact our friendly staff, here at The Anchorage, Mount Maunganui.